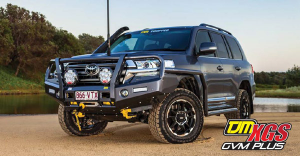 you can’t go past a TJM GVM Suspension kit to improve every aspect of your drive. 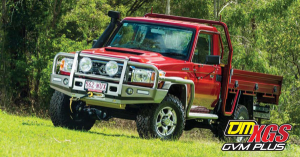 catered for and the vehicle operates safely and legally. includes the Tow Ball Download. 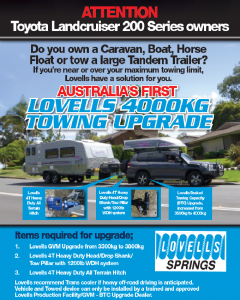 As Part of TJM’s partnership program, we would like to offer you our services as an approved Lovells GVM (Gross Vehicle Mass) Upgrade and BTC (Braked Towing Capacity) Upgrade installer.